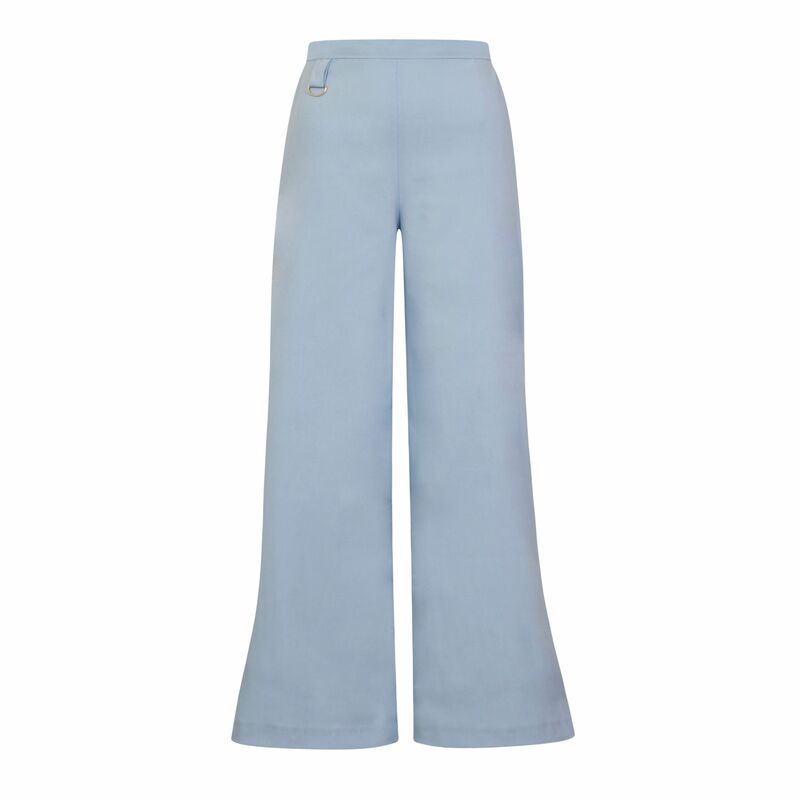 Be inspired this summer with Sofia Wide leg trouser. Work the trend for stylish separates with these wide leg high waisted trouser . With feature pockets and back zip fastener. Fashioned in soft suiting with spandex. Designer notes:For a chic day to night ensemble wear with our new Mary-h-Wrap in pale blue. The Sofia trouser is high waisted and fits true to size, however we recommend using our size guide below to get that perfect fit.